The new waste water treatment plant is scheduled to be commissioned at the end of April, meaning that the project is a few months behind schedule. Despite the delays, there will not be any addition costs to the City of Thompson. That’s because of a lump sum contract, which means that if the work isn’t substantially done by the agreed upon date, the City, and its partners, could enact a penalty clause for every day the work falls behind. 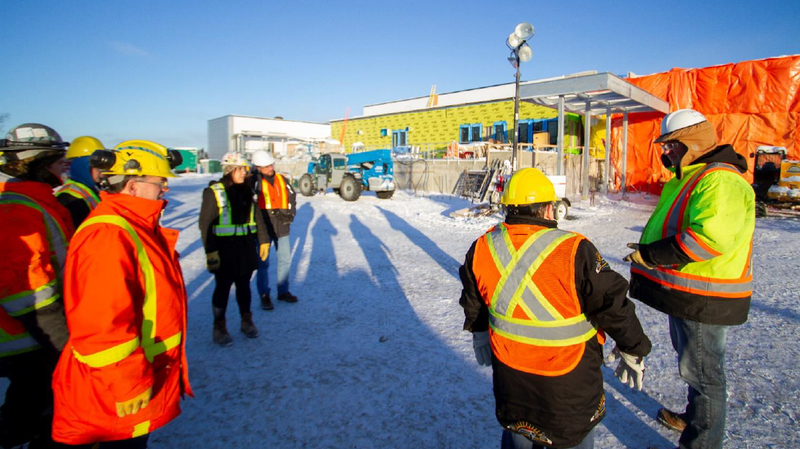 On a recent tour of the construction site, Mayor Colleen Smook said that the plant feels like a “whole new world” from when she first visited. She added that the City is excited to commission the plant come spring time and commit to preserving our environment. The City’s bill for the project sits around $12M, which represents one third of the total cost. That money will be paid for with a combination of frontage fees and water rate riders over the next 25 years.